AVAZUtracking Video, Mobile, Native, Banner advertising network details. A leading self-served ad exchange for publishers to convert global traffic into revenue. 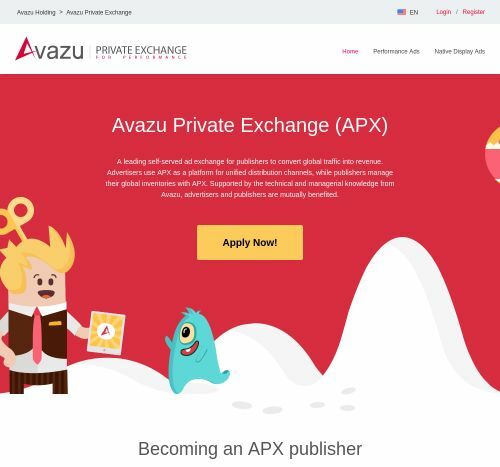 Advertisers use APX as a platform for unified distribution channels, while publishers manage their global inventories with APX. Supported by the technical and managerial knowledge from Avazu, advertisers and publishers are mutually benefited. Slow campaign and creatives approve. Very friendly user interface with automation rules.